How do we convey scientific insights to the general public? InScience, a science film festival, knows the answer: on the big screen. That is why they started the initiative InVision. This marriage between researchers and filmmakers has now resulted into the documentary The Prediction Machine. The Prediction Machine is a documentary about prediction in the brain and the research of the Predictive Brain Lab. 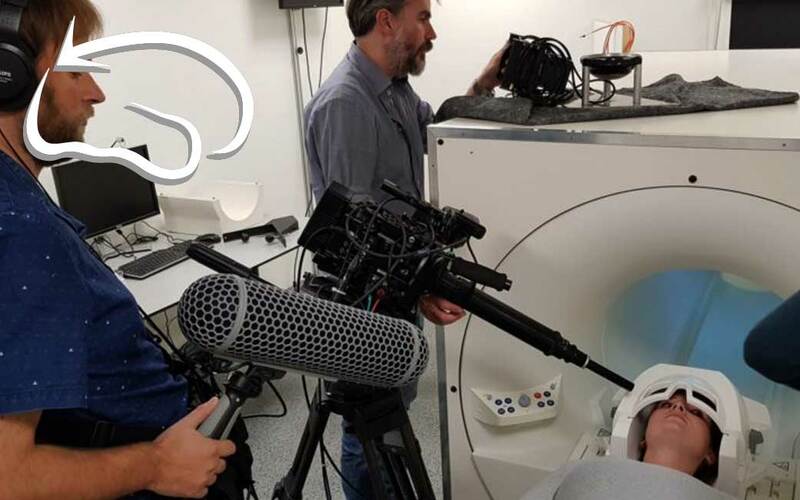 Produced by artist and documentary maker Marleine van der Werf, the movie does not only provide a picture of the daily research practice, but visualises how the brain uses predictions to fill in missing visual input and establish a stable perception of the world around us. The Prediction Machine premieres Friday November 10th at 3:30 pm at the InScience festival in Nijmegen. Click here for a Vox article (in Dutch) about the documentary.